One thing I really like about late fall and early winter is seeing what went on in the tree canopies all summer, secretly – behind the leaves. When the leaves come down, suddenly, you can see all the nests. I like to walk around my neighborhood and look at what the birds left behind. is built every summer in more or less the same spot in my neighbor’s tree. The hanging oriole nests never cease to amaze me. They are true miracles of construction, and they are built in a matter of days! We live next to a salt marsh, so many of the nests consist of marsh grasses and are built in lower, shrubby vegetation. But they are so beautifully concealed, there’s no way you would ever guess they were there in the summer. 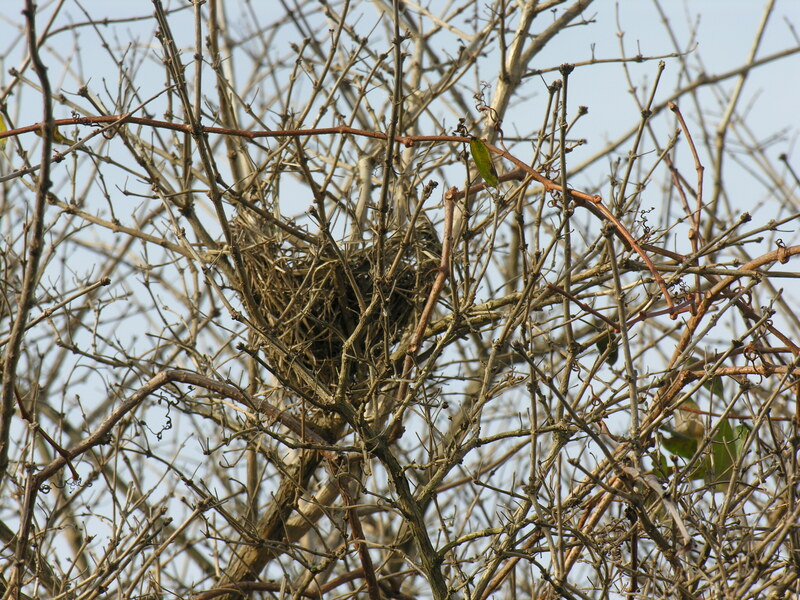 Other nests look like jumbles of sticks. I can’t see inside this one, but there’s probably a nice soft lining in there. Then there’s the one huge nest that’s always out in the open. 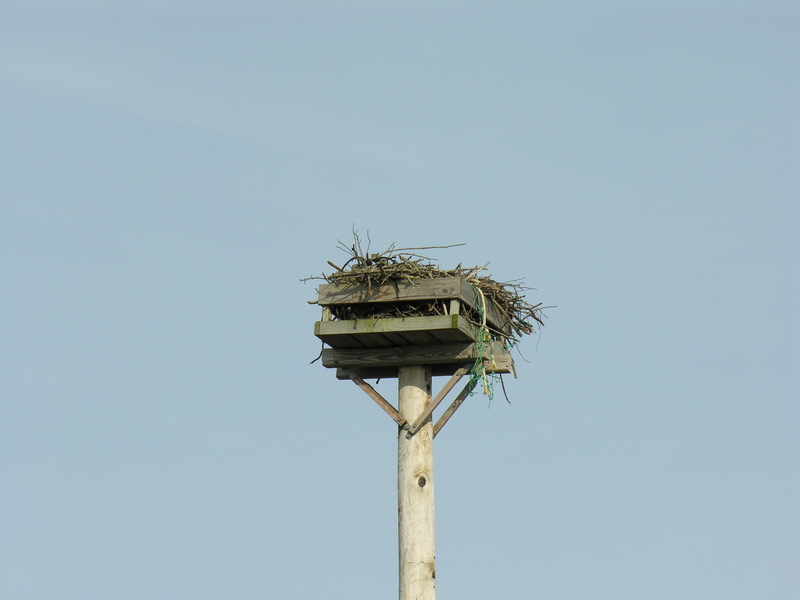 This osprey nest has all sorts of material, in addition to sticks. The nest faces a large fishing port, so the ospreys collect rope, plastic – whatever they can get their talons and beaks on. 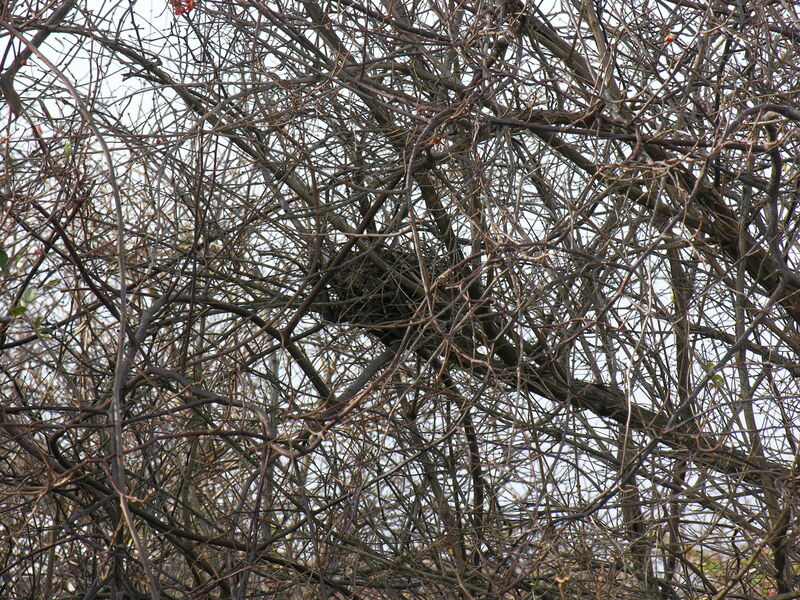 But most of the nests around here are well-hidden. So, before the wind takes them down, and before the birds return to build something new behind the leafy curtain, at least a few of their secrets are revealed. I love doing this too! And sometimes I’m really surprised at where a nest has been built. Birds can be so innovative. I know what you mean. I have to be careful not to drive off the road sometimes, looking for nests in the trees. My fantasy is to be one of the lucky few to see a hummingbird nest. Maybe someday I will. I enjoyed your photos. 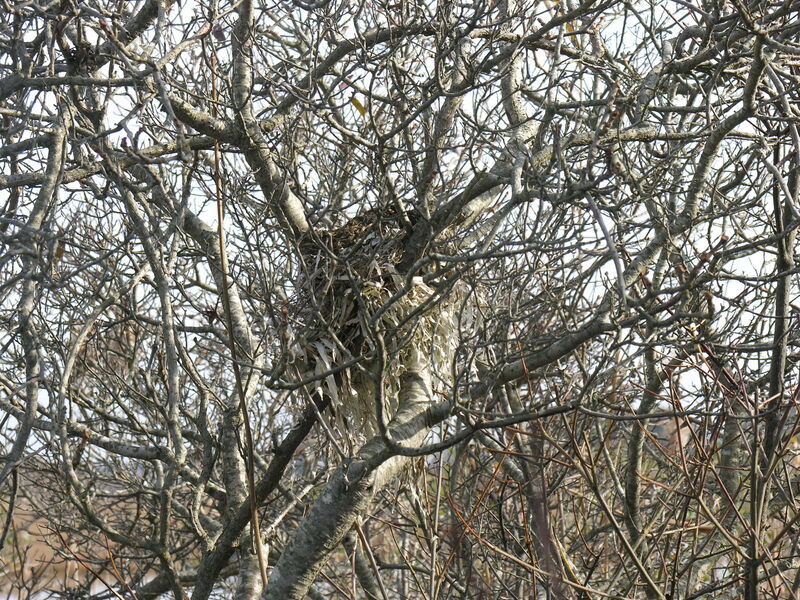 We have lots of nests in our trees, too. Some of them belong to squirrels. I don’t know how to tell which bird has made them. I find most nests really hard to ID. My husband even gave me a field guide on nests, and guess what? They still all look almost alike. I enjoy looking at them anyway. The hummers build their nests in my yard in the bushes low to the ground. I never thought they’d be able to survive at that level, but they do. 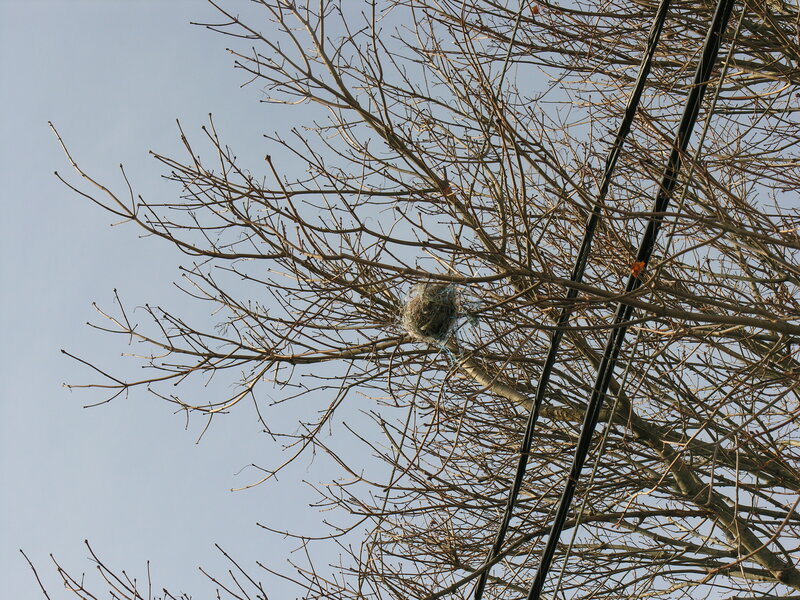 The nests are very tiny like they are, look like a ping pong ball held togther with lichens and spider webs. We’ve never seen more than 2 eggs in a nest. You’re so lucky to have them nesting there. Do you have any photos of the nests?